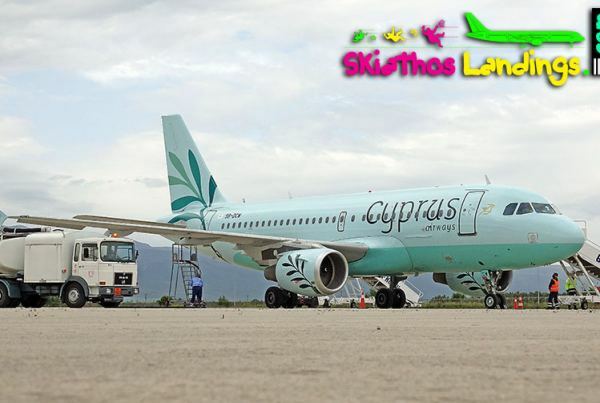 The website for Skiathos Landings and vacations. Here you can find all information you need if you are a simple visitor for your vacations but also if you are aviation professional or just aviation enthusiast. First of all we like to make clear the skiathoslandings.com is not a website suggesting people to stand behind engines jetblast during take-off. 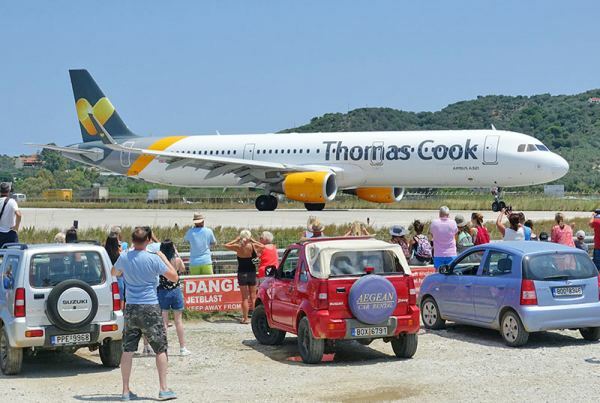 Actually we advise the visitors at Skiathos to stay clear/away from jetblast and not stand behind airplanes during take-off. This is not the spertacular part of Skiathos airport scene. There are two points that Saint Maarten is known all over the world. First of all is the capability of the airport to accommodate the “Queen of the Skies” the Boeing 747. It is not the biggest civil aircraft anymore but it is a legend. So Saint Maarten is a place that you are able to see a B747 in flight than any other place in the world. Second is the all-year round airport traffic. Skiathos airport unfortunately is a seasonal airport with flights between April and October. The biggest airplane here is a Boeing 757 BUT the scenery of the airplanes flying for landing in Skiathos is much more spectacular that Saint Maarten as you will see from that website or verify it by your self uppon your visit! 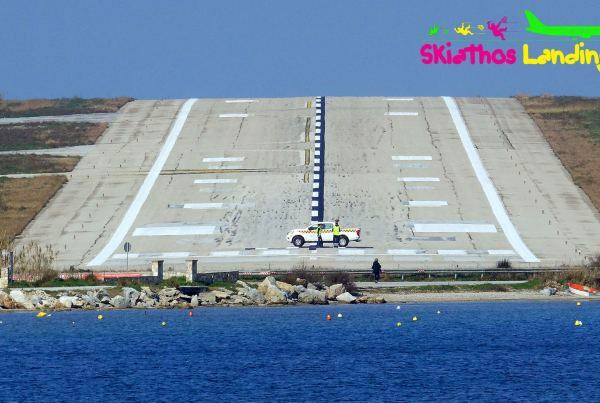 Since there is a lot of incorrect information about Skiathos airport you are invited to visit SKIATHOS & AVIATION section in order to clarify few details. Important notice: Even in the Air Shows those “crazy things” that airplanes doing are not so craze as they look. Air Show pilots are well trained, in dedicated aviation academies, and each one of the “crazy thinks” you see above your head is based to the limits of manufacturer! So even here there are no crazy or dangerous issues. Just impressive!!! The knowledge of aviation industry today is extremely huge. That experience coming out of million flight hours and supporting operations. The result of that experience is the procedures. Written procedures for global standardization, to all degrees of the earth, with a single target. To archive SAFETY. Those procedures are so strict, that sometimes looks to the public as unreasonable… But they are exist, they become more strictly after every accident trying to prevent each next one and avoid it. There is no danger for an airplane if it flies low over you. YOU may have! There is no danger for an airplane during take-off if you standing behind it. YOU may have! So any danger is YOURS! There is no danger for the airport, the planes and the passengers!